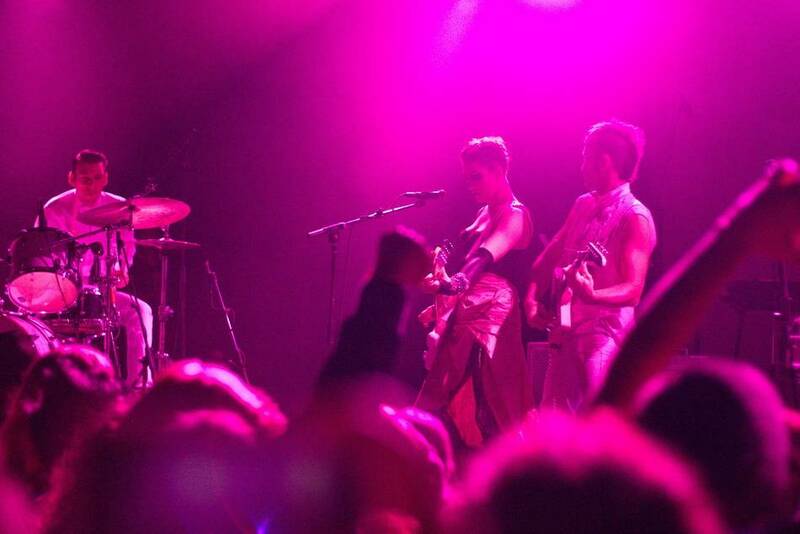 Amanda Palmer at the Commodore Ballroom, Vancouver, Sept 29 2012. Kirk Chantraine. 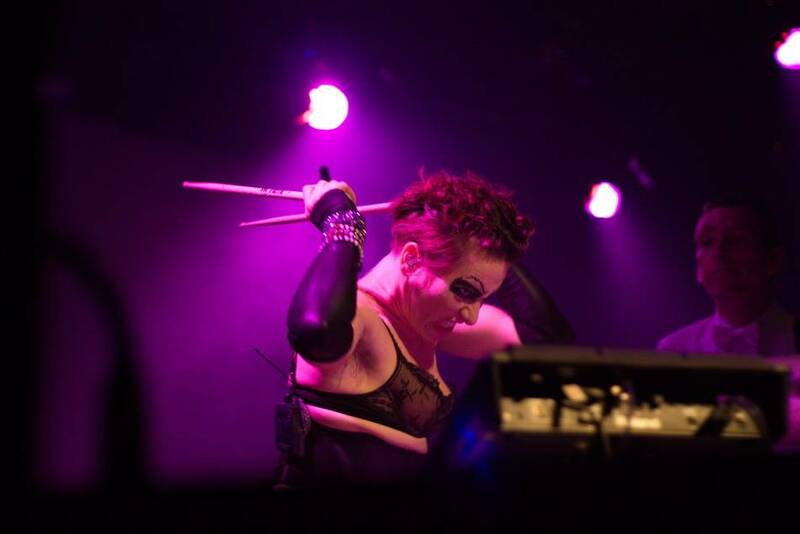 The things that happened at the Amanda Palmer show last night. I knew it would be a good night as soon as I took my first stroll around the venue. Palmer attracted a diverse crowd. Sequined matador suits; corsets, lace bustiers, and hair dye in every colour; bright tweed checkered pants held up by suspenders; do rags paired with frill shirts; Prince jackets; a man with long blonde hair and glitter all over his face; a tall, thin, elfish girl with bright red hair and a long indigo dress; and tutus, garters, and lace, lace, lace and sequins everywhere. I walked around in awe. Then, all of the sudden, the intermission music was turned down and the lights switched off. 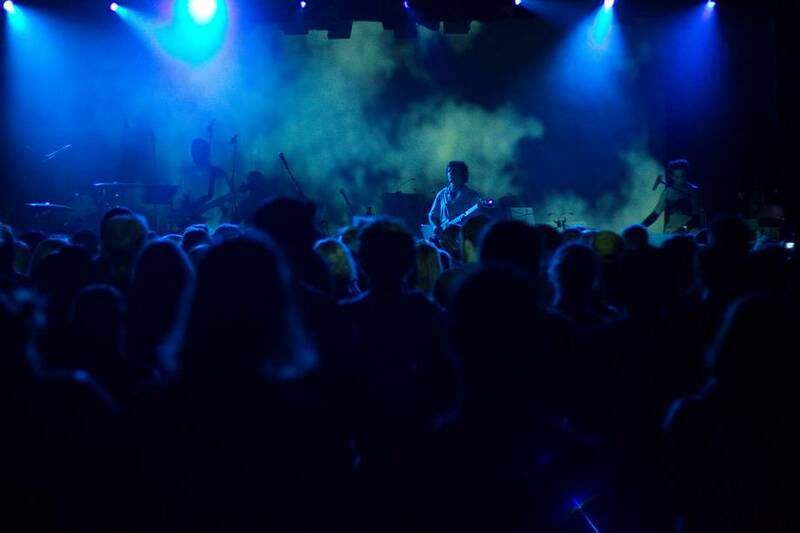 A whooping roar erupted from the crowd already packing the dance floor, shoulder to shoulder, speaker to giant speaker, and reverberated around the room. I didn’t know what to expect but what I got exceeded and stumped all the expectations I could have had. The show was full of surprises, not just for the audience, but, it seemed, for the people on stage. Palmer detoured from the set list to follow whims and created the best show I’ve seen in a very long time. The Saturday night set she and her band, The Grand Theft Orchestra, played was like a carnival in purgatory. Cabaret rock with vaudeville and metal accents. 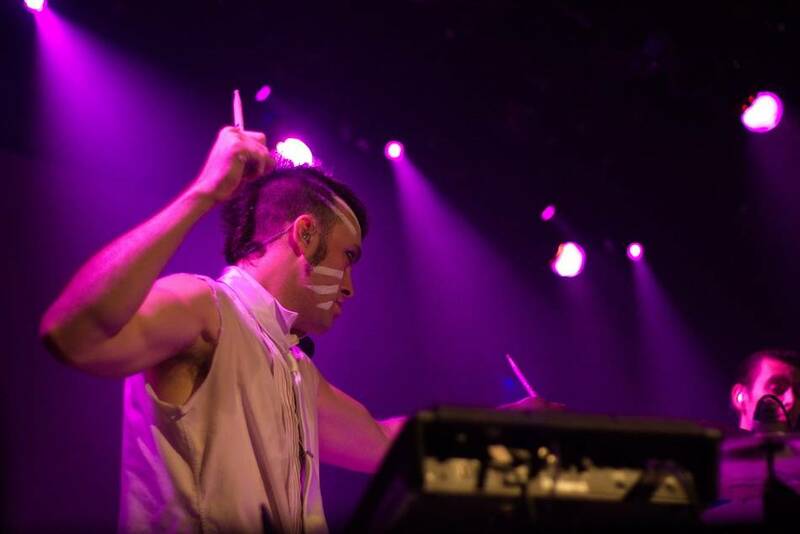 Every band member on stage except for Palmer wore only white, down to white guitar straps and white war paint like scratches across the face. There was a string section. There was a horn section. A white screen formed the backdrop. 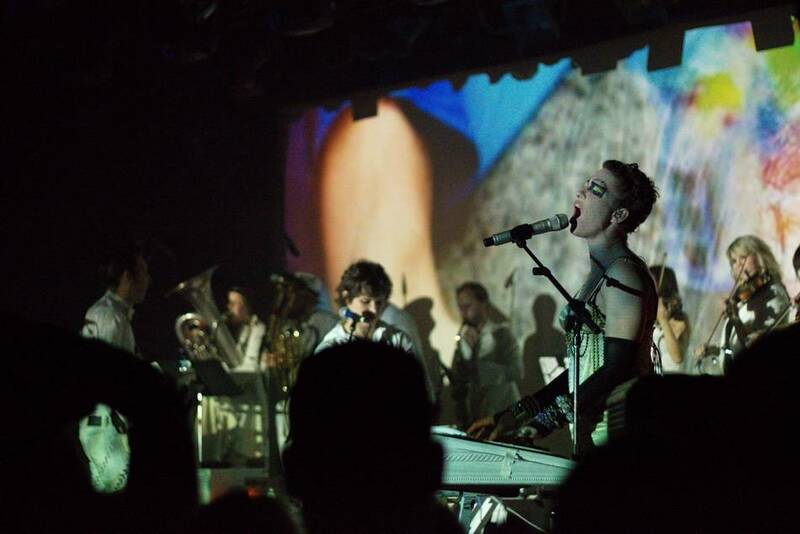 On it, stills and film fragments created visuals, using footage collected from both the audience and live at the show, by a videographer circling the stage and projecting close, unexpected perspectives of the goings on. 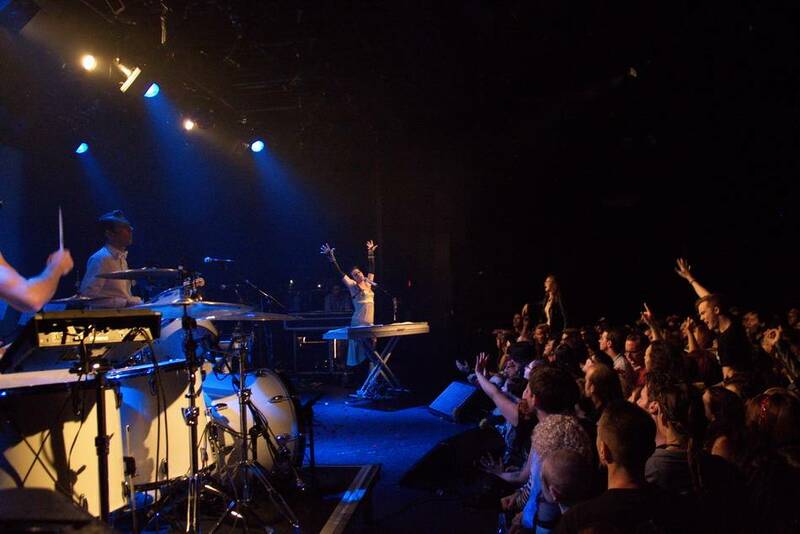 To the band’s sustained musical energy. Best of all in the show was the continuous element of surprise. 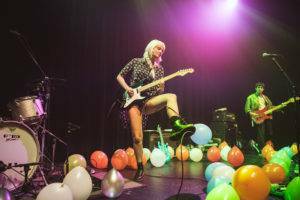 For one song, band members played a round of musical chairs with their instruments, Palmer hiking up her skirt to rush across the stage from the keyboard to the electric guitar, and from there to the drum kit, as the drummer ran for the guitar. On a downtempo number, she fell forward onto the crowd and surfed all the way to the back of the room, dragging a cape-like sheet behind her that covered most of the people on the dance floor, before letting the crowd move her back to the stage. 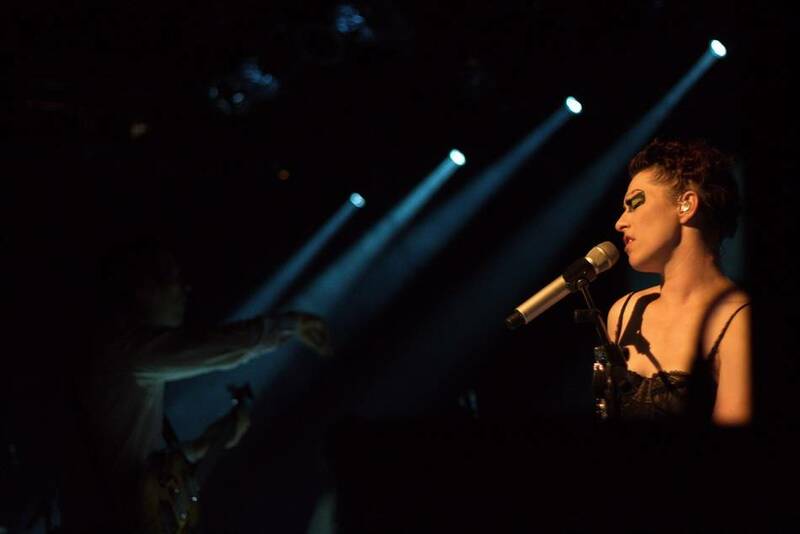 Her microphone traveled with her and she didn’t miss a beat and arrived back on stage in time for the last beat. Experimentation infused the show with dark, distinctive charm. At the beginning of one song, drummer Michael McQuilken used his drum stick to scratch on a cymbal to create a sound that would have made a great theme song for a ’70s horror movie. 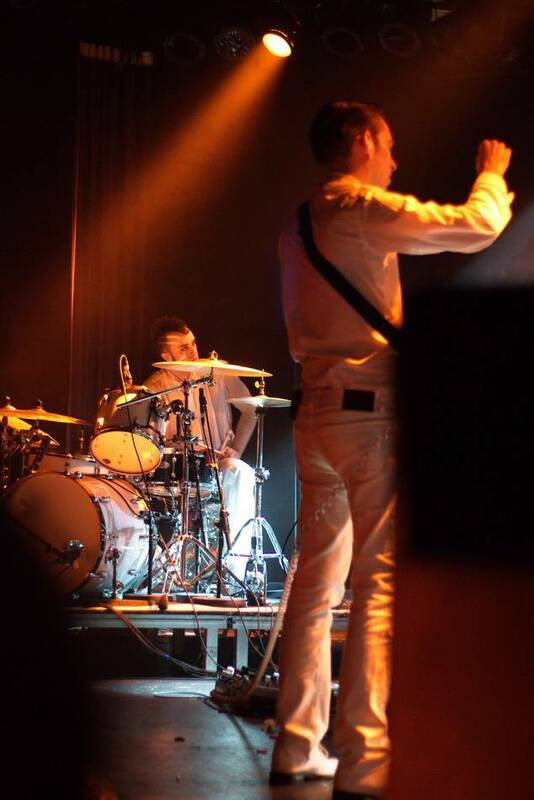 Early in the set, Palmer asked several i-Phone owners in the audience to download a song each by the other bands playing in the city at the same time that night. 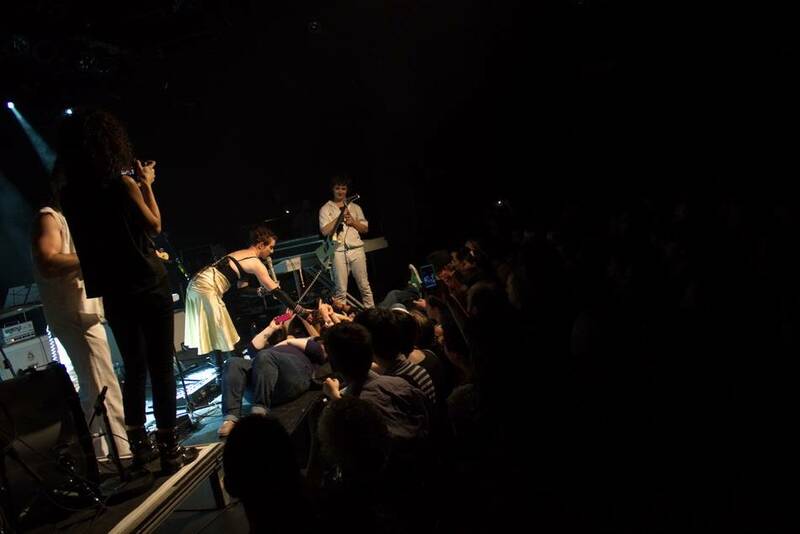 Soon after, Palmer had four audience members in a “cuddle puddle” onstage as they all simultaneously played their downloaded songs into one microphone. For nonbelievers in magic, the resulting Garbage, Madonna, and Bloc Party mash-up, punctuated by gusts of cursing from Russell Brand, was too coherent and too well-timed. “Everyone else in town tonight is doing music, we’re making art,” Palmer roared. Make of it what you will. 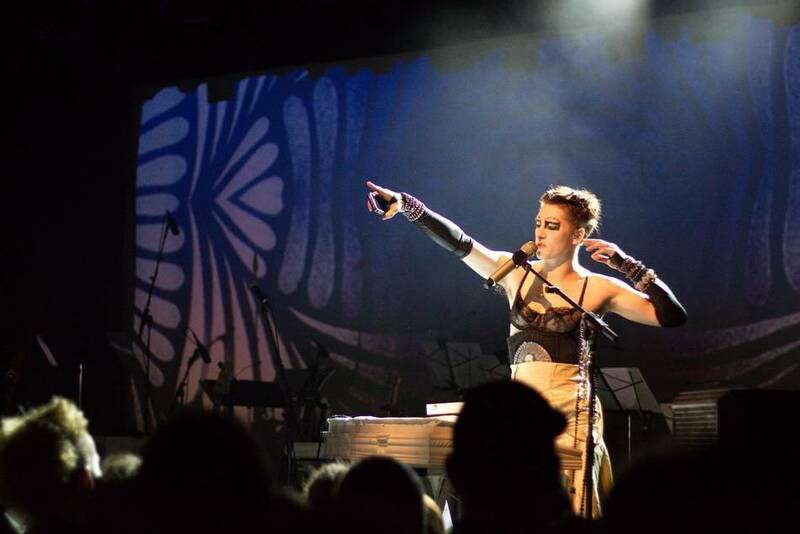 Amanda Palmer and the Grand Theft Orchestra kept their audience transfixed in their spots with sensory overload for over two hours, with dance breaks. I left The Commodore that night catching my breath, my heart racing, my pulse too fast for comfort, and alternating between fits of laughter and the premonition of tears. 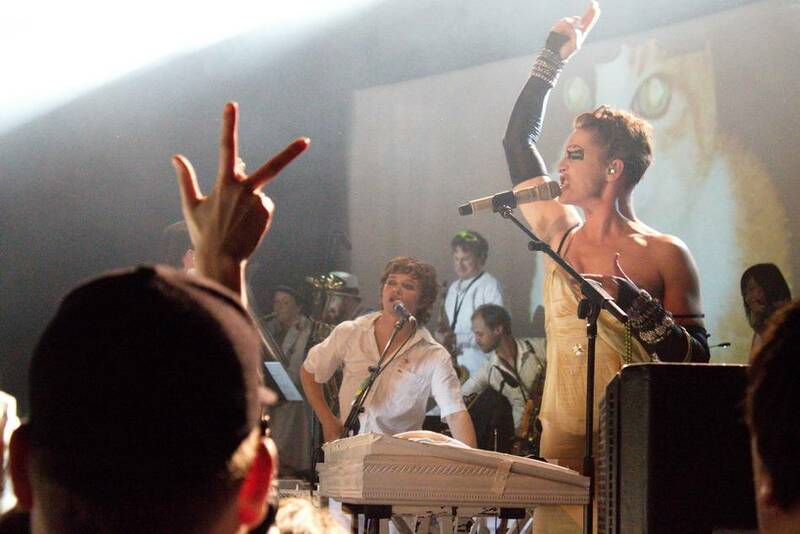 In short, I overdosed on Amanda Palmer and the Grand Theft Orchestra. 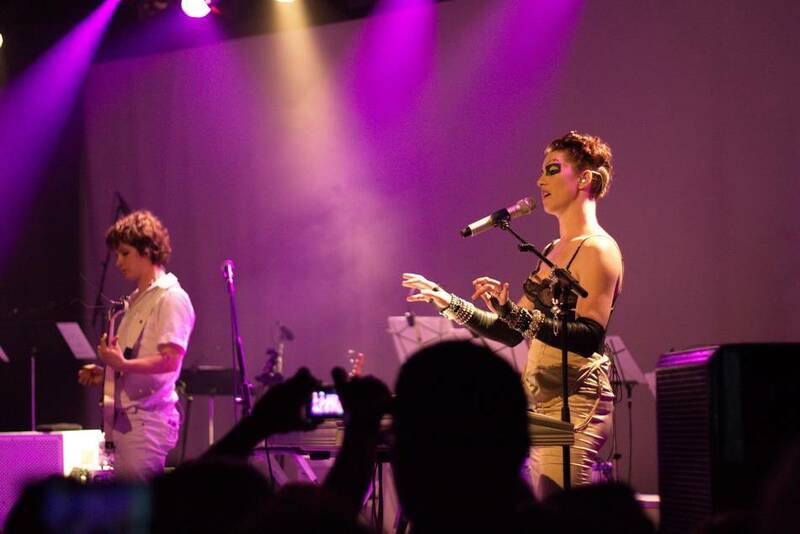 This entry was posted in concert reviews and tagged Amanda Palmer, Commodore Ballroom, Vancouver concerts. Bookmark the permalink. Do you have the full set list for the show? I got there a bit late and was curious what I missed. Great review – it was a really fun show! Don’t have the set list! I hope they make something with all the film footage they’re getting. That music doc would be fantastic. I hope they’re doing that. It terrifies me that I almost didn’t go to this show.